Turkmenistan’s Academy of Sciences, in partnership with ministries and state agencies is drafting a seismic risk reduction program, Trend reports citing the Turkmenistan TV channel. The work on “The Project for Improvement of the Earthquake Monitoring System in and around the Ashgabat City” is underway with the support of the Japan International Cooperation Agency (JICA). Additionally, a forecasting and monitoring strategy is being developed. 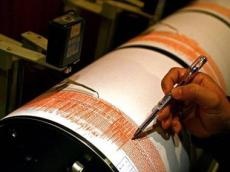 Measures for reducing social, economic and environmental losses associated with possible earthquakes in seismically active areas, as well as increasing the preparedness of urban and rural populations, buildings and structures, transportation and communication systems for such natural disasters are outlined in the document. Turkmenistan is located in a seismically active zone. On the night of Oct. 6, 1948, Ashgabat experienced a catastrophic earthquake, the magnitude of which reached 10 and claimed many lives.